Pioneer Balloon Company has been producing balloons for more than 100 years. Their premier brand of latex balloons, Qualatex, is known throughout the world as The Very Best™ Balloons. Qualatex required a content management solution that allowed them to created informative websites customized to a variety of worldwide locations and languages. 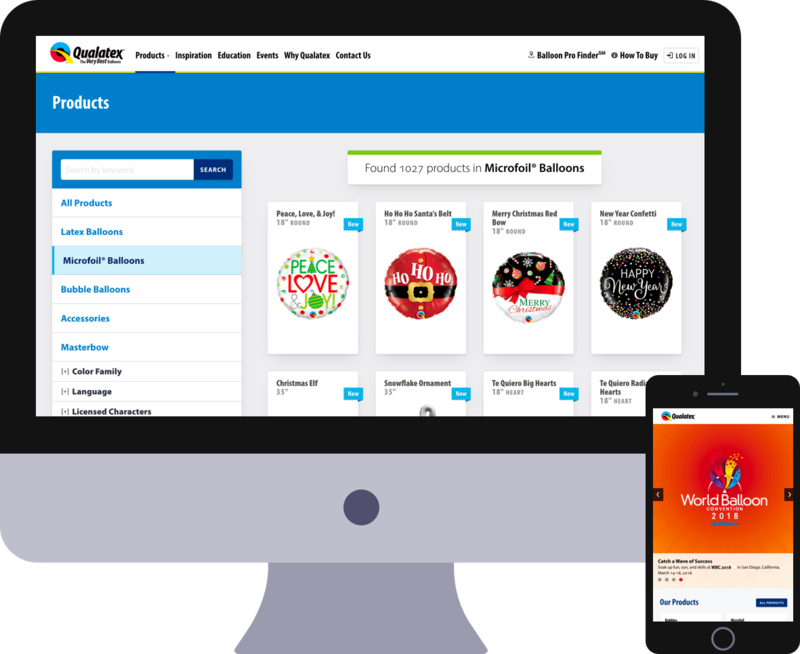 The software also needed to accommodate a dense catalogue of their various balloon products. In addition to providing a versatile platform for these websites, we also integrated with their catalogue to display only the products available in each region. The site also supports a portal for their exclusive certified members, a Balloon Pro Finder application, news articles, an events calendar, and educational content.